Your bespoke latex balloon bouquets will be arranged in such a beautiful way that they will sit one on the other and will be sand weighted at the base free of charge. 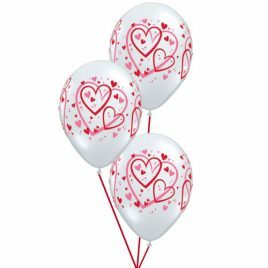 Choose how many balloons you would like in your bouquet and how many bouquets you need from the helpful drop boxes below. All our online bouquets come in plastic bags to prevent tangling. Make your bouquet(s) that extra special by adding one or more of our great foil or bubble balloons and change your free sand weight for a fancier weight. Latex bouquets last 12-14 hours so they need to be ordered for the day of your event. Additional balloons and weights can be purchased by clicking on the boxes below. …simple! 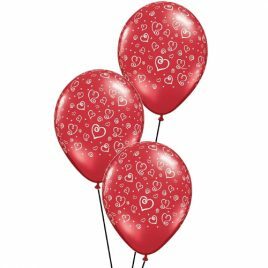 *Please note these balloon bouquet prices are available online only and will last 12-14 hours so they will need to be collected/delivered on the day of your event. Category: Patterned Balloon Bouquets. Tags: printed bouquets, Traditional Super Agate.